In I Cloni Lisa Lie asks if there exists a death after life. We are at the inn, a place between life and death where strangers meet and share everything simply because they are strangers and there are no consequences. I Cloni takes us on a journey past the edge of the real world where everything dissolves but everyone continues to talk. I Cloni continues deeper into the heart of the absurd landscape of Blue Motel. The doors are now open, transparent to all the evil in the world. Lisa Lie is a critically acclaimed and award-winning author, director and performance artist from Trondheim. Pony of No Return (PONR) is a platform for Lie to invite different artists into the work according to need and interest. Lie draws upon choreographic and musical approaches to composition. Her works are dramaturgically multilayered, with different narrative threads working simultaneously. Lie works with the idea of the medieval carnival, described by Bakthin as the “other life of the people”. You can’t be a mere spectator to the medieval carnival- you have to live it. PONR creates affective spaces by reinforcing and expanding ritual and performative presence. The stage is transformed into a site where everything is vital at all times, where the abstract and irrational is taken seriously and where hallucinations arise from the collective subconscious and our shared history. This enhances the exchange of energy in the fragile relationship between audience and performers. The compositions can be considered temporary sculptures or bodies, in which the audience becomes part of the cycle. Concept and direction: Lisa Lie. Text: Lisa Lie/PONR. 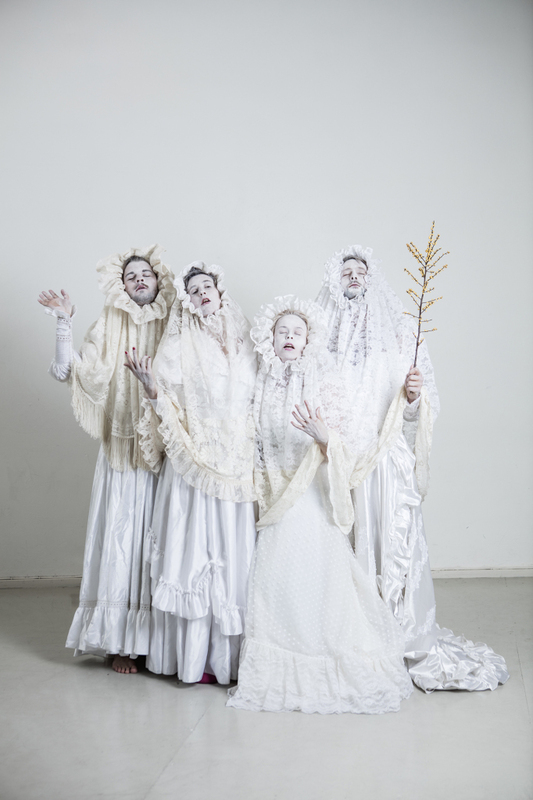 Scenography and costumes: Maja Nilsen. Lighting design: Kerstin Weimers. Sound: Christoffer Karlsson. Sound technicians: Magnus Børmark and Oscar Udbye. Producer: Aurora Kvamsdal, Emily Luthentun. On stage: Ivar Furre Aam, Kenneth Homstad, Helga Kristine Edvindsen and Lisa Lie. Dramaturge: Elin Amundsen Grinaker. Extra: Sissel Lie. Stand in: Ida Holthe Lid. Masks: Magnhild Kennedy. Stage texts: Ragnar Sletten. Outside eyes: Henriette Pedersen, Julie Moe Sandø. Photographer: Kjell Ruben Strøm. 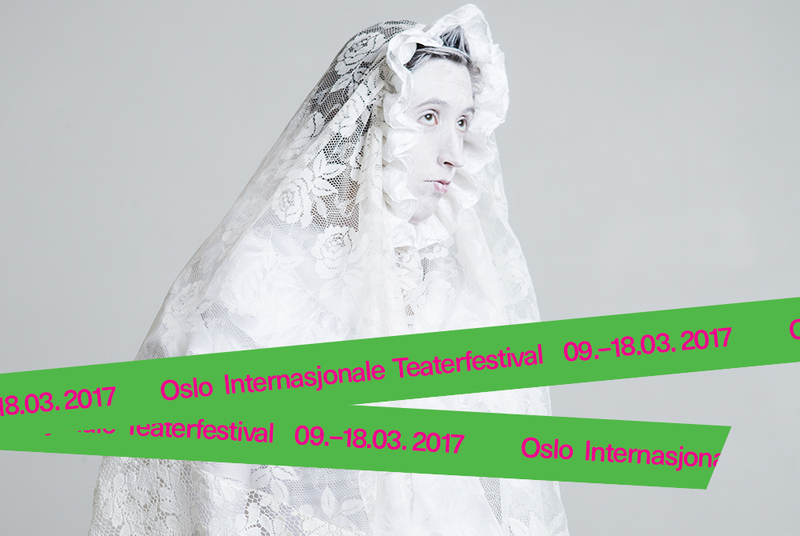 Co-production: Black Box teater (Oslo), Teaterhuset Avant Garden (Trondheim), BIT-teatergarasjen (Bergen) and Dramatikkens hus (Oslo). Supported by: Arts Council Norway, Fond for frilansere, Fond for utøvende kunstnere, Dramatikkens hus, Oslo kommune, Trondheim kommune, Fond for lyd og bilde and Norsk Skuespillersenter.